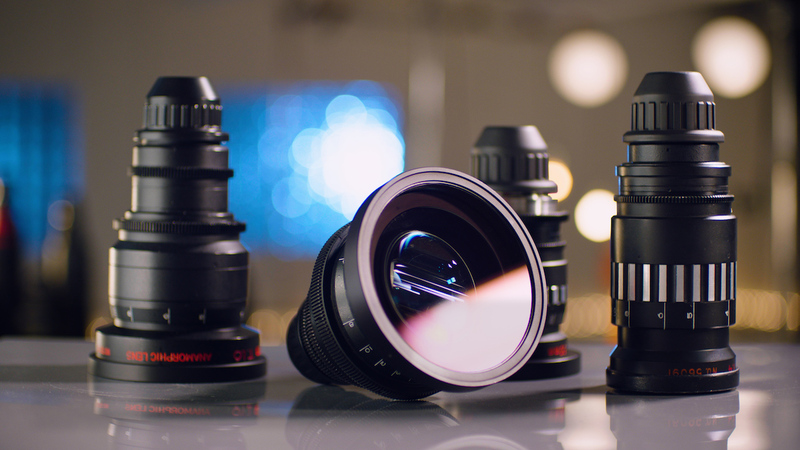 I am so proud to announce that our anamorphic lens test is finally live! Over the course of one long holiday weekend, we gathered a band of lens nerds to run a meticulous test of 13 brands, 40 lenses creating 130 4K videos and over 500 tests! It was exhausting to say the least but we are thrilled with the results. A few things you must do when you visit the site, browse each and every brand of lenses as there are 13 of them! We have complied extensive information on all of them. Specs, downloads, reviews, projection tests and much more. Its fun just to read everyones' impression of each lens, why they love it and how they've used it before. You'll be amazed at the incredible difference there is from brand to brand. From size, to open aperture, to origin and year. Each brand offers a vastly different look and approach to the anamorphic technology. What was imperative for this test was to capture as many brands as possible that vary from vintage and modern, expensive to cheap, clean to lots of character, big and small, prime and zoom and so on! It's also important to note that every lens is treated the same. We are not picking any winners in this test. It's as fair and neutral as a test can be. We believe that each lens set fits a specific project. No set is "better" than another. So our intent is to provide as much fair information on each brand as possible in the hopes that you can find the best set that fits your project's budget and style. Here are the Cineovision Anamorphics from Japan. Then, be sure to check out the What is Anamorphic? page so you can brush up your knowledge on the famous aspect ratio. 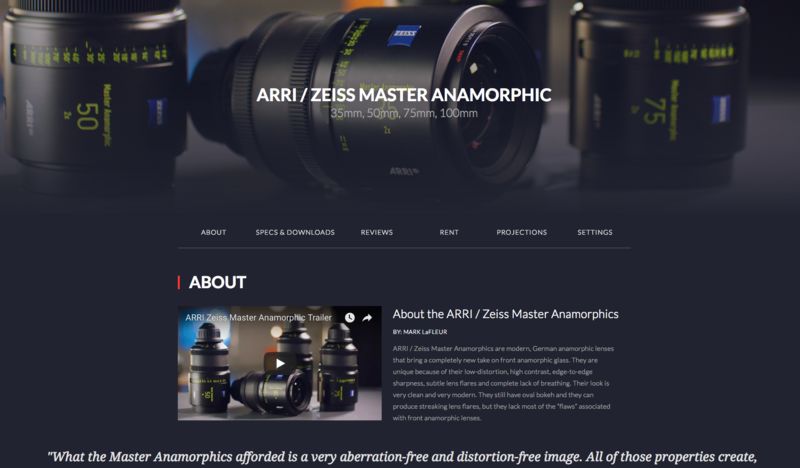 Brief interviews with industry experts and an easy guide to explain what exactly anamorphic is can be helpful for just about every filmmaker, green or veteran. Our director and owner of Old Fast Glass, Mark LaFleur does an amazing job explaining the difference between anamorphic and spherical lenses and what gives anamorphic its look. 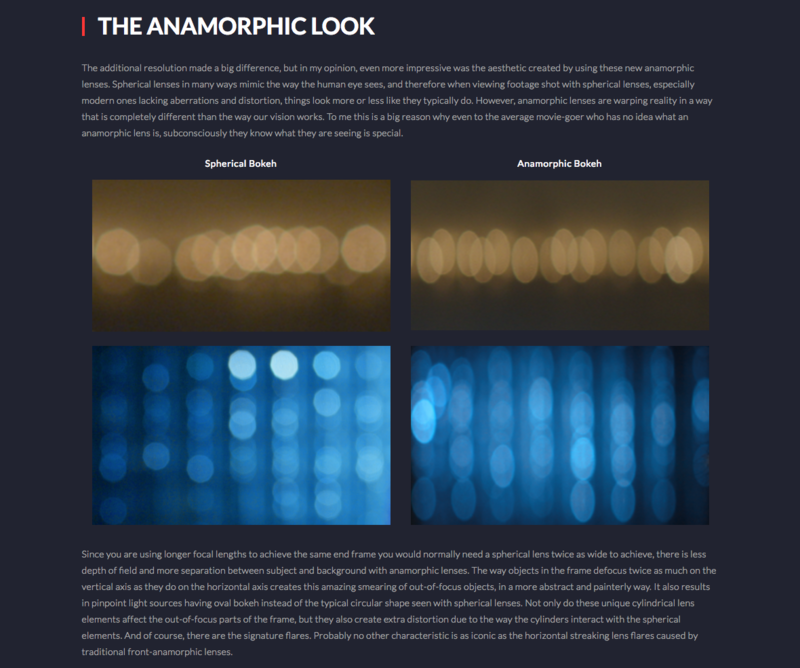 A screenshot of our bokeh comparisons to describe the anamorphic look. From here you can learn about the why anamorphic grew to popularity in the 1950-60s and its 2x squeeze factor compared to standard spherical lenses. 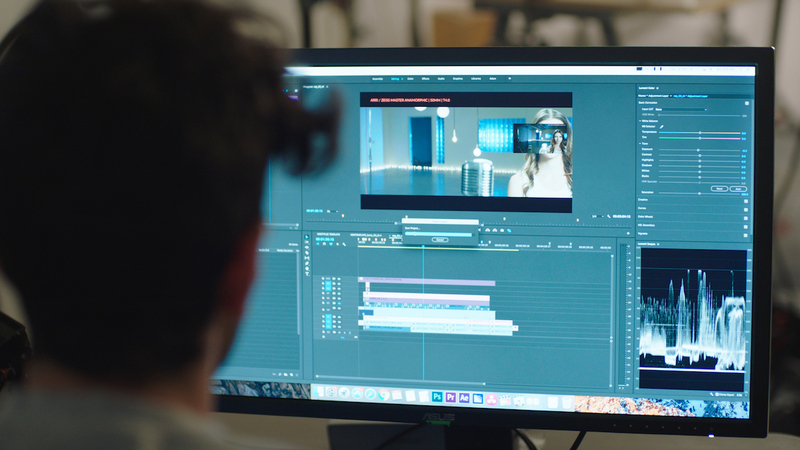 After getting your bachelors degree on Anamorphic Studies, be sure to check out the page Our Process where we dive deep into why we did what we did, how we did it and what to look out for when using our tests. Nick, our Post Supervisor, compiling footage on set. You can really get your nerd on with this page as you begin to understand all of the subtleties in anamorphic lenses and how we try to test as much of that as possible. From bokeh, to chromatic aberration, to close focus, to lens breathing, to distortion, to focus, to sharpness, to vignetting and everything else you'd want to know about a lens. We have tried to test it for you. From there, it gets even more fun. For our first time, we created a Flare Chart. You can now easily browse through over 40 flavors of flares in one easy scroll. Or you can click on them individually and browse for a closer view. Flares are one of anamorphic's most signature features. It's also one of the most desired "flaw" that brings life and character to an image. So, we thought it'd be best to showcase all of them for you to decide what you like. The Cineovision 50mm at a T4.0 shown here. Next is our famous Bokeh Chart. We made a fun chart that easily displays all of the bokeh in one place. Fun fact, the image below is actually a 2.40 aspect ratio! Makes for a great poster! Last but certainly not least is our About page. Countless amounts of hours, sweat and brain power went into this project and it was all thanks to this amazing team. Be sure to check out our behind the scenes photo album to get an idea of what the shoot was like. The crew that made it all possible. A big thank you to everyone who came together for this amazing project. I'm honored to be one of the leads on this and I can't wait to do more for the filmmaking community in the near future. I hope this lens test helps everyone make better and more informed decisions for their projects going forward and please do share and leave comments below to show support!